Pakistan - Lahore: It is necessary to mention here that the former fast bowler of Pakistan namely Sarfaraz Nawaz is presently hospitalized due to suffering from heart disease in London. 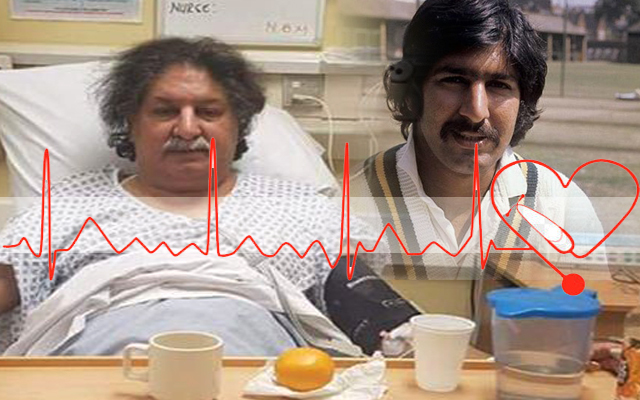 As per report of Media that the former fast bowler of Pakistan Sarfaraz Nawaz was suffering from heart disease last day where he shifted to hospital for his further treatment. As we also know that former fast bowler Sarfaraz Nawaz got 177 wickets in number of fifty five (55) Test Matches in which said legend succeeded in get wickets with a points 32 in average of 75. Sarfaraz Nawaz also represented this country 'Pakistan' in 45 One Day international matches and also won number of 63 wickets. However former fast bowler of Pakistan has also historical record in cricket match that 27 runs and 27 wickets.